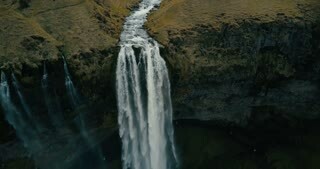 Copter flying over the powerful waterfall Seljalandsfoss in Iceland. Beautiful view of the water falls down. 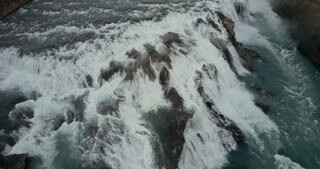 Aerial view of the turbulent flow of water in the cliffs. 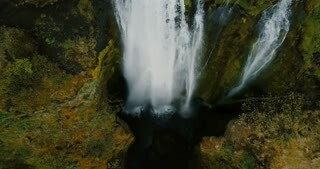 Copter flying over the powerful waterfall in Iceland. Copter approaches to the powerful waterfall Seljalandsfoss in Iceland. Famous touristic place with amazing view. Copter flying away from the Seljalandsfoss waterfall. 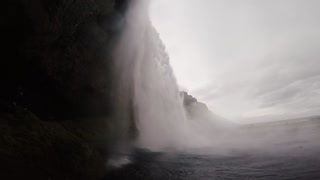 Turbulent flows of water falls down from the mountain in Iceland. Aerial view of beautiful scenic landscape in Iceland. Powerful waterfall Seljalandsfoss falls down in mountains. Copter flying near the Seljalandsfoss waterfall. Turbulent flows of water falls down from the mountain in Iceland. Aerial view of mountains valley and Seljalandsfoss waterfall. Copter flying over the famous touristic place in Iceland. 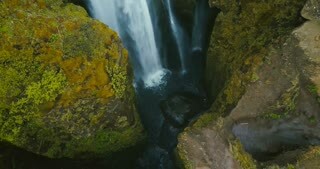 Top view of the beautiful waterfall Gljufrabui in Iceland. Copter moving up, water falls down from the top of mountain. 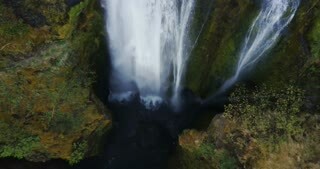 Top aerial view of the beautiful Gljufrabui waterfall in Iceland. Copter moving down, water falls between the mountains. Beautiful view of powerful Seljalandsfoss waterfall in Iceland. 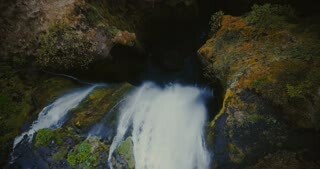 Water falls down from the top of mountain and splashing.